Coachella has officially come and gone, and by now, the famed music festival needs no introduction. Known for its slew of festival-led fashion and a music line-up filled with mega superstars – it’s more of a place to see and be seen. That’s right. Festival goers are turning up to Palm Springs braving new hairstyles and it celebrities are embracing the ‘less is more’ approach when it comes to make-up. On the make-up front, runway models Emily Ratajkowski, Kaia Gerber and Gigi Hadid kept it very natural at the festival. To keep through the all-day festivities, the girls kept their make-up looks soft and subtle with a touch of neutral eyeshadow shades, glossy lips, mascara and of course, blush for those rosy cheeks. The Cindy Crawford offspring fronted a glowing makeup look created by Tom Pecheux, the Global Beauty Director of YSL Beauty. Nudestix Co-Founder Taylor Frankel kept her locks in soft curls courtesy of Jen Atkin’s Ouai haircare brand. Add in a few mini braids complete with colourful flower clips and she was good to go. Everyone’s favourite Swedish model opted for bouncier curls for the festival. Showing off her golden skin, her parted hairline was adorned with a clip, serving some serious ’90s vibes. Shanina Shaik put her long locks in dreads for the occasion, and it was all thanks to Linda Ha – the hair stylist responsible for some of the coolest braids you will ever see. 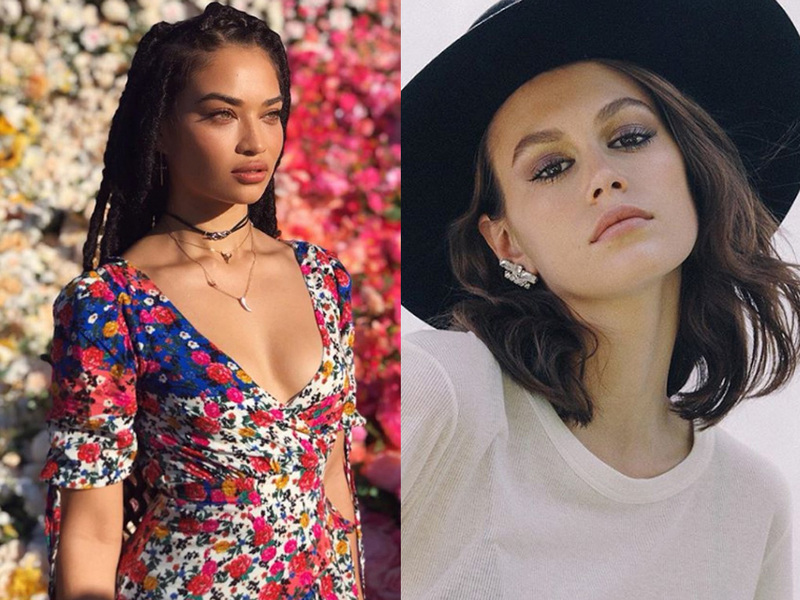 Women who completely stood out from the crowd this year was Winnie Harlow, Rocky Barnes and Megan Pormer. The Canadian fashion model showed off her new Barbie-pink hair for the festival whilst model Rocky Barnes stayed true to Coachella uniform with butterflies injected onto her braided pigtails. 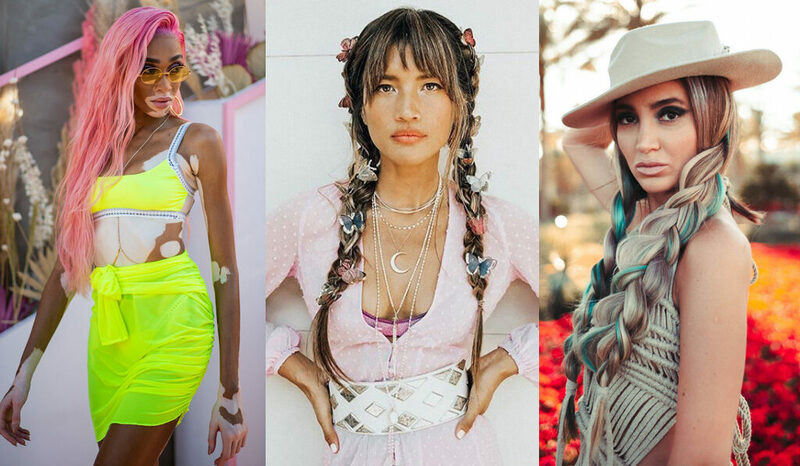 Megan Pormer, the Middle Eastern model and PhD in Biomedical Engineering, kept her unicorn hair in two volumised braids, completely acing festival-inspired hairstyles. 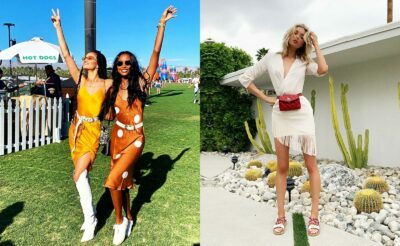 Coachella’s first weekend has officially come to an end but stay tuned to MOJEH.com for more festival-led outfits, beauty looks and updates from the festival’s second weekend. In the meantime, take a look at the ultimate hair hacks for the heat coming our way (soon! ).